Qualter Hall provided the complete turnkey installation of a Double Deck 'Ro-Ro Linkspan' for Berth 26 at Dublin Port, including design of the complete system (incorporating the client's deck structural design), manufacture, supply, installation and commissioning of all plant. 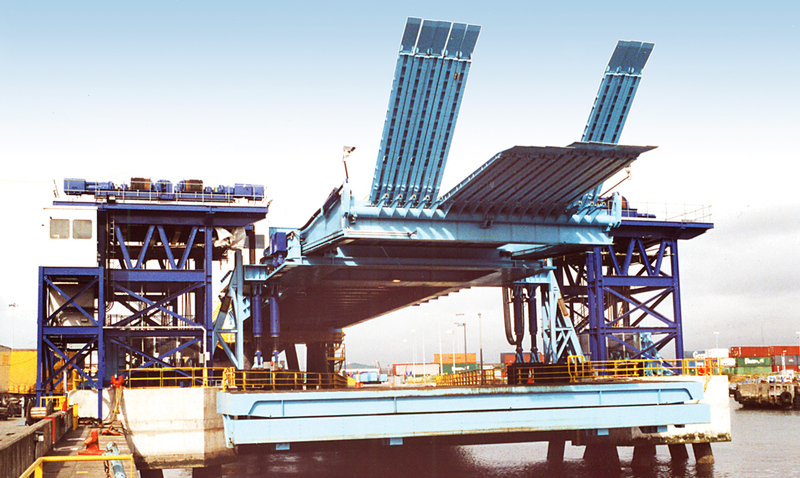 The double deck linkspan, designed solely for the use by heavy goods vehicles, comprises 1050 tonnes of structural steel, 500 tonnes for the bottom deck, 400 tonnes for the top deck and 150 tonnes for the forward support towers. Each deck is supported on individual bankseats at the landward end, with the bottom deck suspended from 6 synchronised winches (3 per side) and the top deck supported on the bottom deck on hydraulic cylinders at the seaward end. 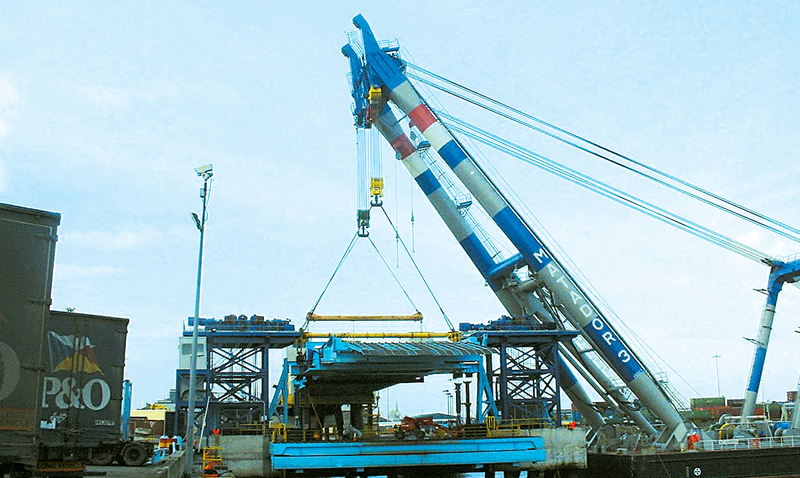 To suit the client's operational commitments, the installation was carried out over two visits, first the bottom deck was floated into position and lowered onto the bankseat and winches using a submersible barge, then commissioned for use. 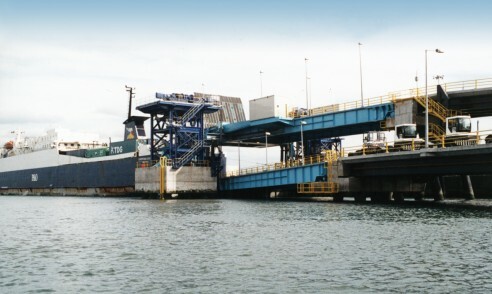 During a second visit, the top deck was installed using a floating barge crane. 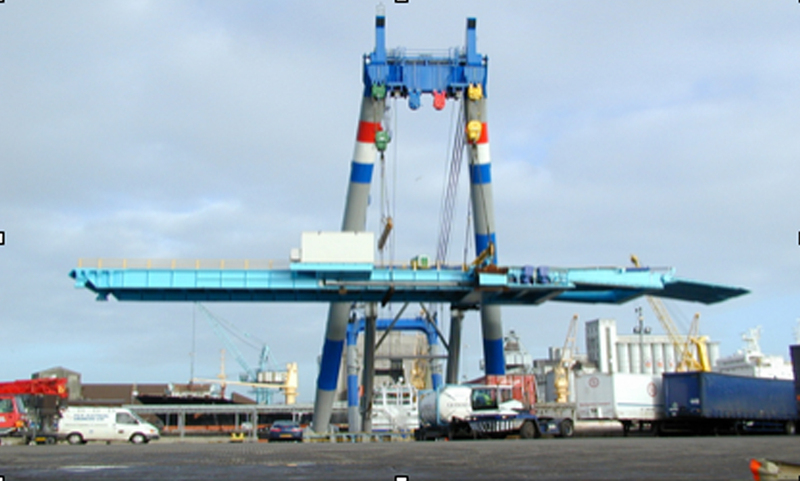 The 1500 tonne capacity crane was hired from Holland and the lift was completed in one day. 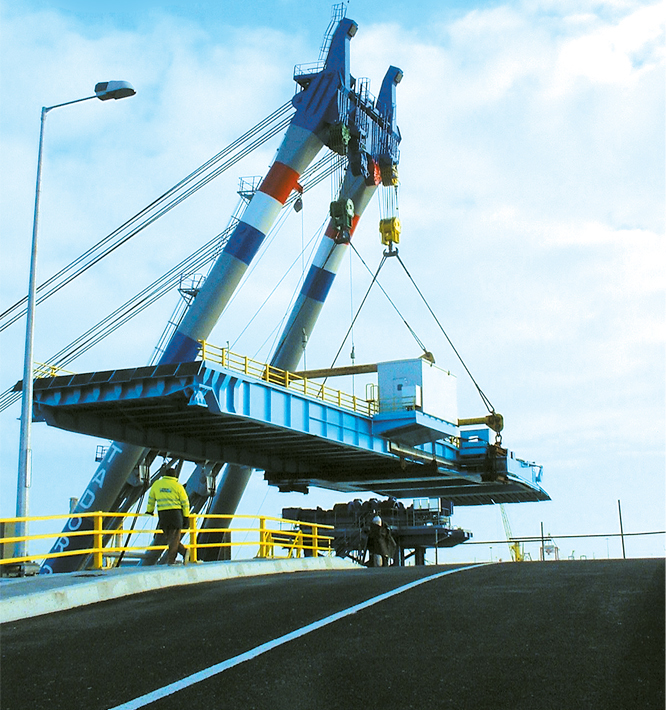 Total weight under the hook was 505 tonnes including all pre-installed mechanical and hydraulic equipment.